As noted in an earlier post, when I gig, I always bring two controllers. To make transportation easier, I built a custom case the holds two WX7 controllers, plus cables and other small items inside the lid. 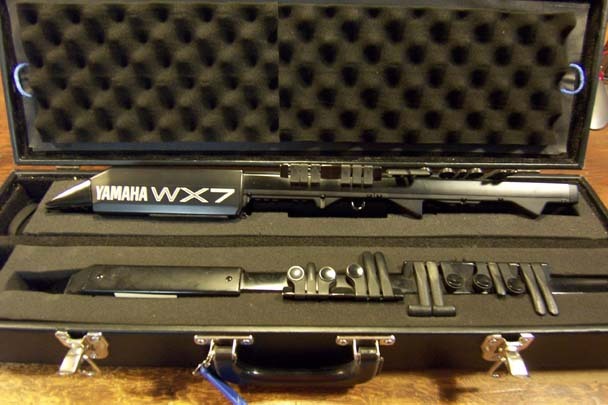 The foam inserts for the WX7 instruments were carefully removed from old plastic single WX7 cases. I say “carefully” because they are very firmly glued in place, and this required a modestly long time with a putty knife, regular knife, and wide chisel to remove the glue without tearing the foam. 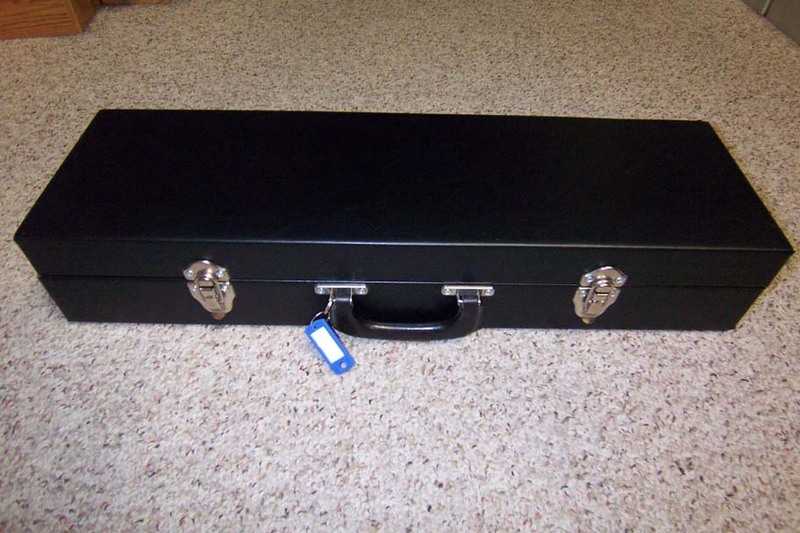 But once done, it was pretty easy to build a box from 1/4″ plywood, cut it into a case, and install hinges and handles. The exterior is wrapped in black vinyl upholestry material (woven back, not fuzzy back) and glued with contact cement. I then lined the interior with road case carpet (low nap carpet you see on inexpensive DJ rack cases) that I buy from Parts Express. A center divider holds the two foam inserts for the instruments. In the lid, the convoluted foam is glued to a exact fitting piece of 1/4″ plywood that is a friction fit into the lid. This is the cable compartment. While this method of making a compartment isn’t ideal, the fitting of internal hinges just didn’t seem worth the effort. This entry was posted in Music Technology and tagged Alternate Midi Controller, audio, case, custom instrument case, midi, midi controller, music, Music Technology, wind controller, WX case, WX5 case, WX7, WX7 case. Bookmark the permalink.